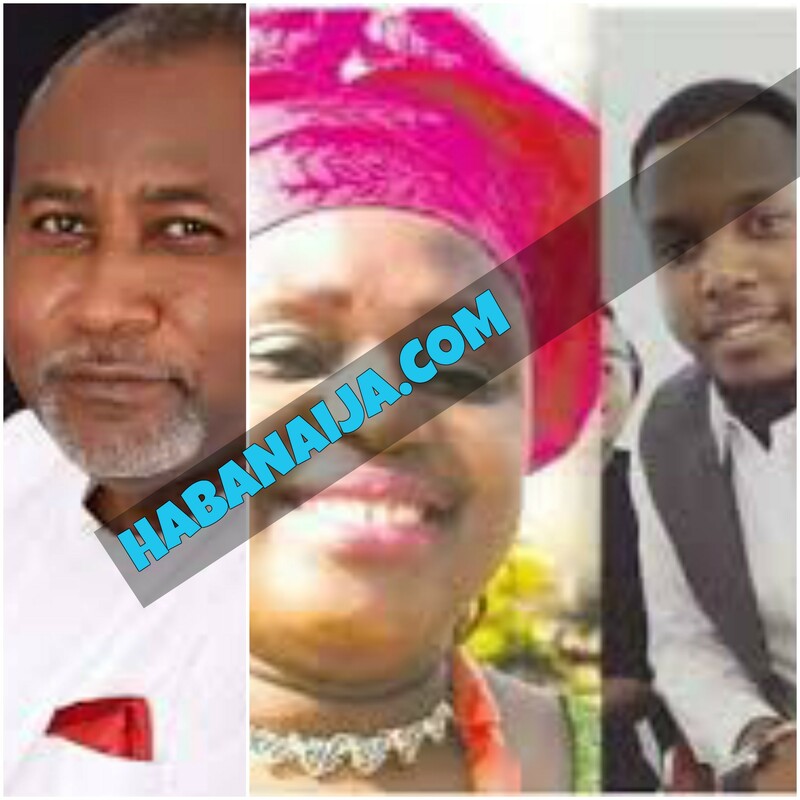 JAMES OCHOLI, WIFE AND SONS DEATH SCENE (PHOTOS) - Haba Naija! 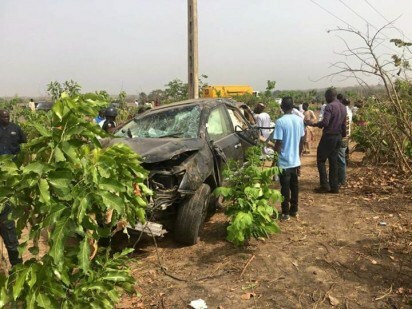 Barrister James Ocholi (SAN) The Minster of State for Labour and Employment, his wife and his son were involved in a drastic car accident along the Kaduna-Abuja highway on Sunday the 6th of March. 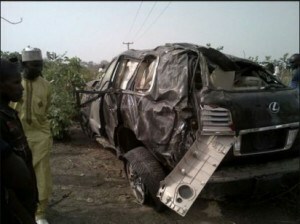 They were reported to have died from an accident which involved a Prado SUV and another Lexus SUV. 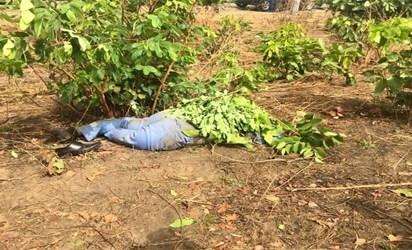 Joshua Eb’ojo Ocholi who was until the time of his death serving as a youth corper in Abuja was a Graduate of International Relations and Diplomacy was a graduate of International Relations and Diplomacy at Salem University Lokoja, where his Father, James Ocholi was the Pro Chancellor until his death. .While his mother, was a one time Registrar of the University. 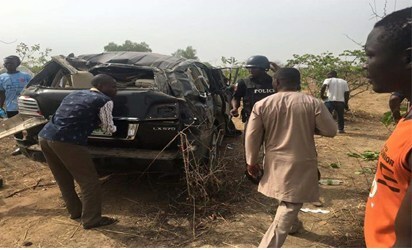 The Nigeria President Muhammadu Buhari has expressed his shock and sadness at the death of the Minister of State for Labour, (Barrister James Ocholi) who together with his wife and son were killed in a car crash in Abuja on Sunday. The President described Okoli’s death as untimely, regretting that Nigeria has lost a key component of the CHANGE agenda. President Buhari said, that in the few months Barrister Ocholi had been in office, the late minister of state had already begun to distinguish himself through his commitment and dedication to his portfolio. President Buhari also consoled with the government and people of Kogi State, whom he described as having lost a distinguished and irreplaceable son. He prayed that God would comfort them and grant them the grace to bear the loss. 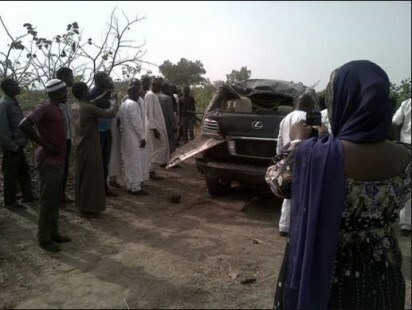 The President has also sent the Secretary to the Government of the Federation, Engineer David Babachir to formally convey the news to members of the deceased family as well as parishioners in his place of worship.